* New challenge will be posted on the 3rd Monday of the month at 6am PT/9am ET. Challenge will close at 8:55 pm PT/11:55 pm ET on Saturday immediately preceding the next challenge. * There is a mid-challenge post on the 1st Monday of each month. * You are welcome to enter any type of craft project you would like to create, made with any company/artist's digi (But no pre-colored digi, please.). * Your link must point to your entry (the particular POST that shows your project you're joining the challenge with) and NOT your entire blog. Please link back to our (AuroraWings) blog. There are two types of links that can point to your blog. A SHORT link (e.g. http://www.aurorawingschallenge.blogspot.com) that points to the blog itself. And a LONG link (e.g. 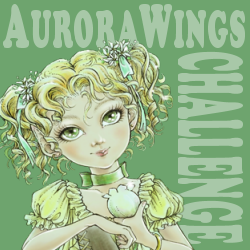 http://aurorawingschallenge.blogspot.com/2014/02/interview-with-lorraine-craig-mackie.html) that points to a specific post within your blog. In our example here, the SHORT link will get you to the blog itself and you will see whatever the most recent post when you get there. The LONG link in this example will get you to Lorraine's interview post, specifically. We need you to use the LONG link that points directly to the post featuring your challenge entry. That's what we mean by "Your link must point to your entry and not your entire blog." Your browser will show in the navigation bar (that's the skinny horizontal rectangle box at the top of the screen) your specific post's link if you just click on your blog post's title, in case you don't know how to get the LONG link. Also, the LONG links end with .html rather than .com as all SHORT links do. * We would love for you to follow our blog so you won't miss out on any important announcement and fun. * The theme of the challenge must be followed. * Your work must contain a hand-colored - traditionally or digitally - image (digital stamp, rubber stamp, or a page from any of Mitzi's coloring books). * Digitally adding sentiments or background by means of layering over or under the main image is allowed. * The work you submit must be YOUR OWN and NEW. No backlinking (Backlinking is when you enter a project which has already been posted previously on your blog.). In other words, if the date on your blog post that shows your entry is older than our challenge announcement date, we cannot accept it. * Please feel free to combine your creation with any other challenges. We do not have a limit on how many other challenges you enter the same creation to. * Entry limit is 1 per person, per challenge. 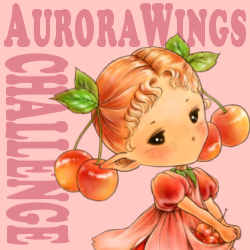 3 if you're using AuroraWings digital stamps (All 3 of your entries must contain AW digi's.). Submissions in excess of the limit as stated here will be removed without notice. * To join in on a challenge, please use the link tool at the bottom of the challenge post with your blog post creations, and include a link back to us to let everyone know where to find us to join in on the fun. * Winners will be announced on the same day as the new challenge, in a separate post preceding the challenge announcement. * Contact e-mail and information on how to redeem your prize are provided on each winners' post. Winners have 2 weeks from the date of results announcement to claim prizes. * By joining our challenge, it is assumed that you've read and understood our rules.